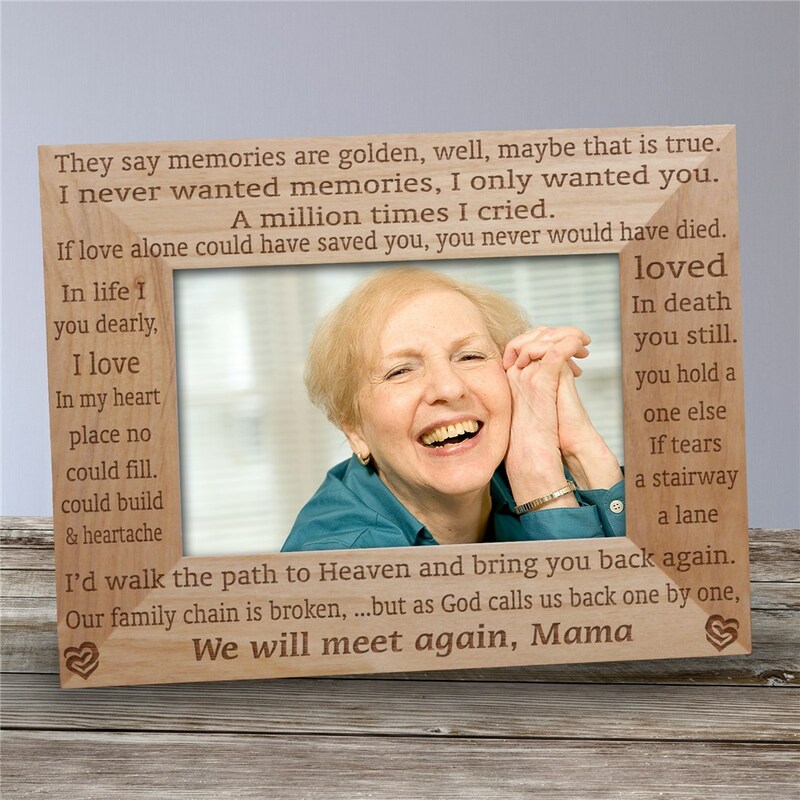 Create a lasting Memorial Keepsake by personalizing your very own We Will Meet Again Personalized Memorial Wood Picture Frame, knowing you will have your loved one by your side once again in Heaven. With your faith in the Lord and the never-ending love for your family, you know that this separation is only temporary. The sentiment is what sold me on the product. The personalization was icing on the cake. Might have preferred the finish to have been glossy, but still happy with it! I bought this persoanlized memorial picture frame for my friend who lost his mother suddenly. The whole family was so touched by the message on the frame. It really brought some joy to a tragic situation.